I absolutely loved reading Incarnate last year. It was so wonderfully written, and it completely made me fall in love with Sam. I can't wait to get back into Ana and Sam's story again! I really need to read the first book soon. Lovely cover! AHHHH! I didn't even realize this had a cover and description!!! LOL I'm so excited for this. Incarnate was amazing!!! I agree, I was so drawn in to these two characters! I can't wait for more of their story! Oh my that cover is mind-blowing! Adding it to my list! I have a feeling this one will be making the rounds a lot today given the recent title/cover release. Even so, it still sounds great. I should probably get to reading Incarnate soon! I haven't read Incarnate but the covers for both books are just gorgeous! Nice pick! Seeing a lot of this one! Like the cover! I still haven't read the first one in this series. I do love the cover though, so pretty. I wasn't a huge fan of Incarnate but I do love these covers! After seeing this gorgeous cover, I REALLY think I need to get on reading Incarnate! I want this so, so much! 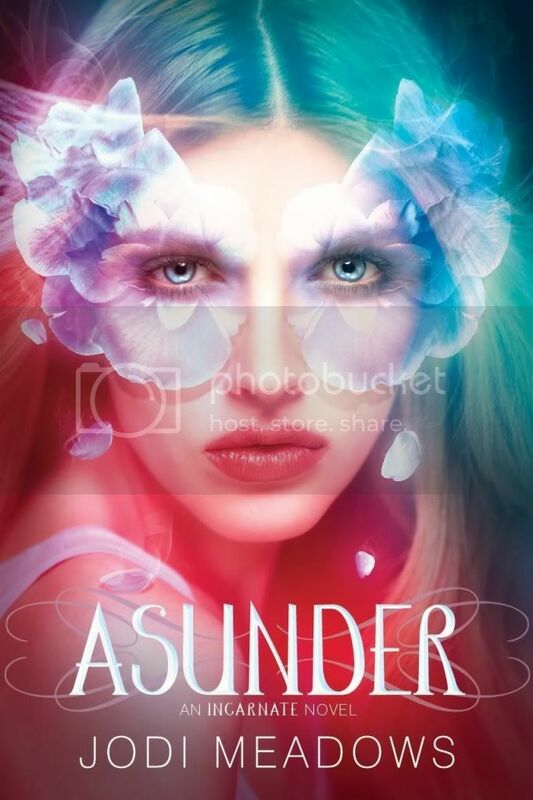 Oh my gosh is that not the most beautiful cover EVER? I absolutely adore it and want it on my shelf looking stunning so I can stare at it all day. Plus, I can't wait to read it and hopefully have some of my questions answered! I still haven't read Incarnate but I really want to! And that cover is gorgeous! Great pick :). I know so many people loved Incarnate and they have such beautiful covers! I still need to read Incarnate! This cover is beautiful, but personally I like the first one better. :) Great pick! I still need to read Incarnate! But I love it that the two covers match so well! So cool that they used the same cover model and the two covers match so well. I read an interview where Jodi said the covers for all three books were shot with the same girl and each cover has a symbolic meaning (butterflies, rose petals, etc.). I still haven't started this series even though I really really want too! The covers are all so gorgeous!